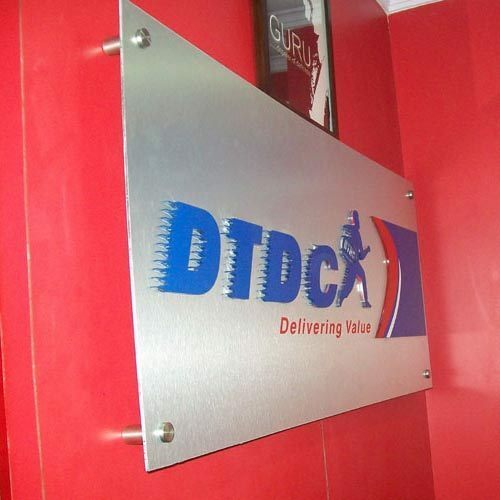 We are offering high quality 3d sign boards to our most reliable customers which are situated all round the nation. These sign boards are also customized according to our customers given specifications and requirements. ACP SHEET with 40mm Foam Board Laser Cutting , MRF Coating as per your specified colour and Fabrication works. We only charged Very Reasonable Price. We are specialized in designing Acrylic Glow Sign Board that are widely used for outdoor advertising purposes. These boards are customizable as per the specifications provided by the clients. Larger than life size and attractive glow ensure that these Signboards catch immediate attention. Our clients can avail from us a huge variety of SS & Brass Signage. These products are trendy and stunning in looks and extensively find application in offices and commercial buildings. Our SS & Brass Signages are highly appreciated by clients for their excellent durability and resistance against tough weather conditions. These products are sturdy, corrosion resistant and scratch resistant as well.